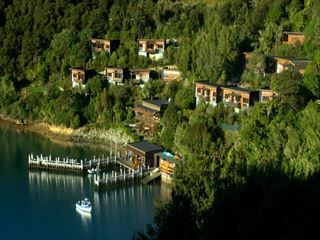 Perched along the scenic shore of Kenepuru Sound, Raetihi Lodge offers contemporary style, luxury and tranquillity amongst some of the South Island’s most beautiful landscapes. 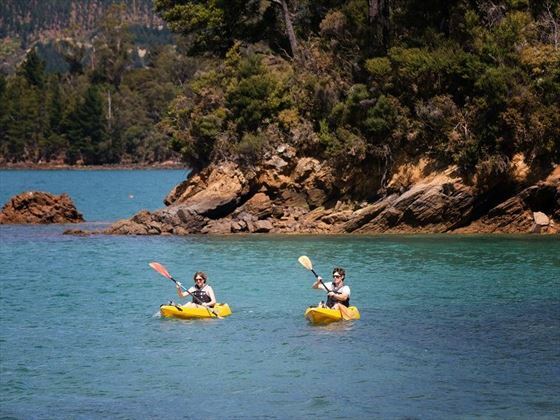 The casual vibe is perfect for those who wish to unwind and simply take in the views, spending their days kayaking in the bay and enjoying a delicious lunch out on the expansive deck. 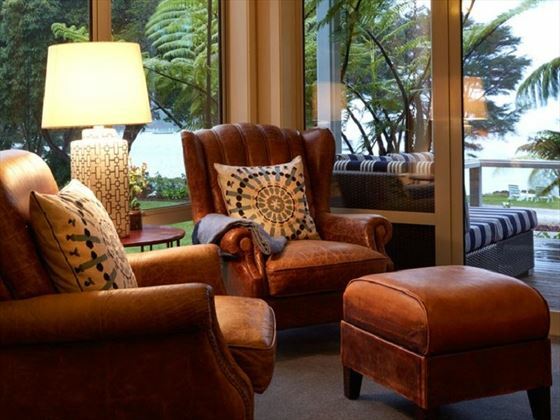 The rooms adopt a fresh look with its fashionable furnishings, and large floor-to-ceiling windows that offer either a delightful courtyard, garden or sea view. 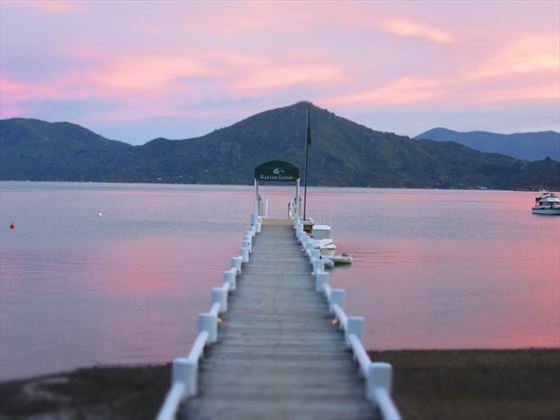 The Lounge & Bar is a great spot to sit by the fire and sip on a comforting drink, or you could venture out onto the restaurant’s expansive deck and enjoy crispy calamari couscous salad and Marlborough Green Lip Mussels with a backdrop of forest-clad mountains and calm water. 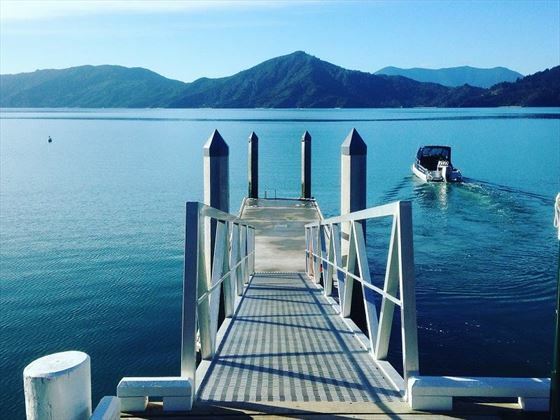 This chilled lodge is nestled along the shore of Kenepuru Sound in the beautiful Marlborough Sounds region, overlooking an impressive view of soaring mountains and glistening waters. 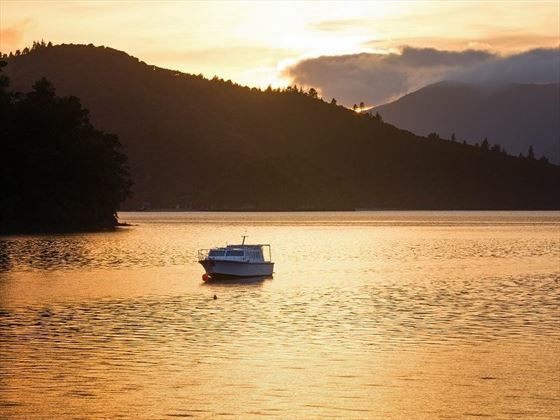 Its secluded location evokes a tranquil, intimate ambience, and a feeling of getting back to nature. 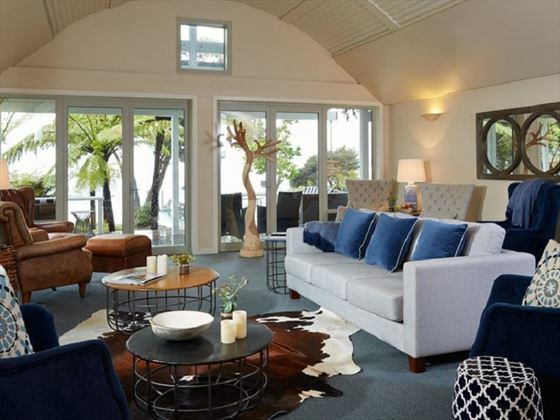 Standard Room – Cosy yet modern rooms overlooking a secluded courtyard, featuring a private deck and close proximity to the water’s edge. 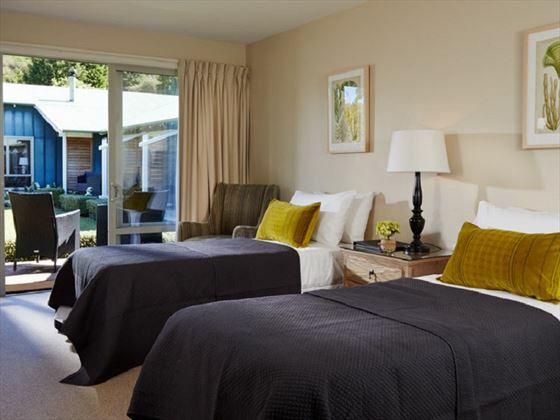 Garden View Room – Contemporary rooms featuring an intimate deck and gorgeous garden area. 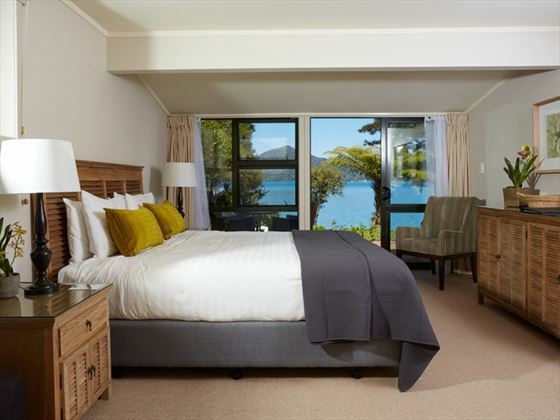 Seaview Room – Located by the waterfront, these modern rooms overlook the sparkling Kenepuru Sound from the private deck. 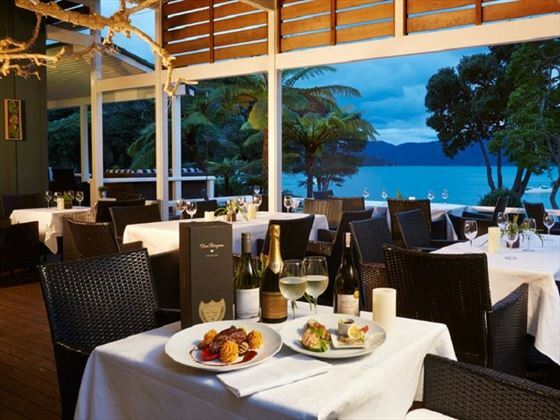 Raetihi’s Restaurant – A stylish yet casual restaurant with gorgeous views over the water. Serving up a delicious menu of fresh, local produce for breakfast, lunch and dinner, you can dine either in the romantic interiors, or outside on the expansive deck. 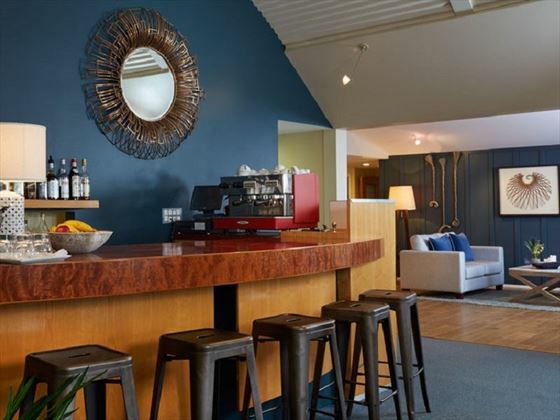 Lounge & Bar – A laidback lounge serving up teas and coffees, refreshing drinks and tasty bar snacks. Visit over the summer season and you may see one of the live musicians who play once a month. 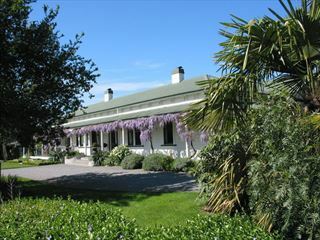 With decor and facilities inspired by its waterside location, Picton Yacht Club Hotel is an utterly charming property nestled desirably close to the beautiful Marlborough Sound. 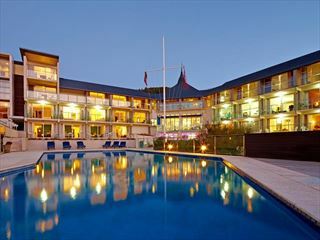 Great for families and couples.